Tonsai Bay Resort is located on beautiful Tonsai Bay secluded just beside Railay beach, Krabi. This is the place you can find a real natural beauty. Our resort is set in the lush greenery geography with peaceful atmosphere and the world wide well known rock climbing cliff on the backdrop. It takes just two minutes walk away from Tonsai Beach, a swath of white sand that fringes the crystal clear water of Andaman Sea, to get to our beautifully appointed guestrooms which have been designed with the comfort and relaxation in mind. We offer 40 air conditioned rooms ranging from Deluxe Villas and Superior Villas with open on to the rainforest jungle while having the stunning of rock climbing cliff on the backdrop. Our resort’s restaurant reside on the beach front of Tonsai bay offers various tasty both International and Thai food. Here you could enjoy the delicious cuisine while getting a pleasure from fabulous scenery of the ocean or watch rock climbing activities. To enjoy your holiday with us, it takes around 30 minutes by car from Krabi International Airport to Ao Nang Beach and around 15 minutes by long-tail boat to our resort. Be here with us, you will have a wonderful holiday.!!! 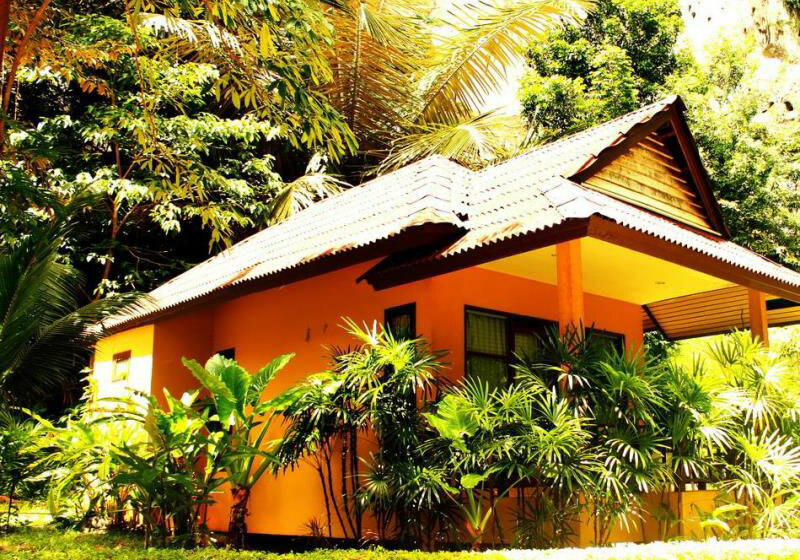 Short Description: Tonsai Bay Resort is located on beautiful Tonsai Bay secluded just beside Railay beach, Krabi. This is the place you can find a real natural beauty. Our resort is set in the lush greenery geography with peaceful atmosphere and the world wide well known rock climbing cliff on the backdrop.